In view of it’s Pan-African expansion strategy UAP Group Africa has expanded to Tanzania by acquiring a 60 % share in Tanzania’s general insurer Century Insurance Company and will be operating as UAP Century Insurance Company Limited. The group is investigating options to release its full financial services to the Tanzanian market but at the moment general insurance services including aviation and marine insurance will be offered while the insurer will focus on recruiting local talent in order to meet the demand of the people of Tanzania. UAP Group Managing Director Dominic Kiarie said “We are grateful to the Tanzanian authorities for giving us the green light to start operations in Tanzania through the acquisition. We see a great opportunity for growth of the insurance and financial services sectors in Tanzania, as the Country moves towards achieving middle income status by the year 2020. “We are keen to replicate the success that UAP has enjoyed in Kenya over the years in the Tanzania market by providing innovative insurance and related financial services that caters for the needs of both individuals and organizations” he added. 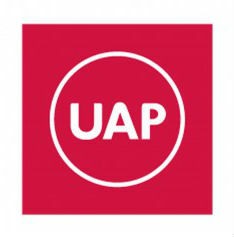 UAP Group Africa Limited offers products and services that include investment management, life insurance and saving, general and health insurances, property investments and developments which will be an added enhancement to Tanzania’s rising economy and meet the growing demands of the domestic insurance sector.